In this article you will find some great and but thrifty suggestions about how you can make your kitchen functional with pallet wood. 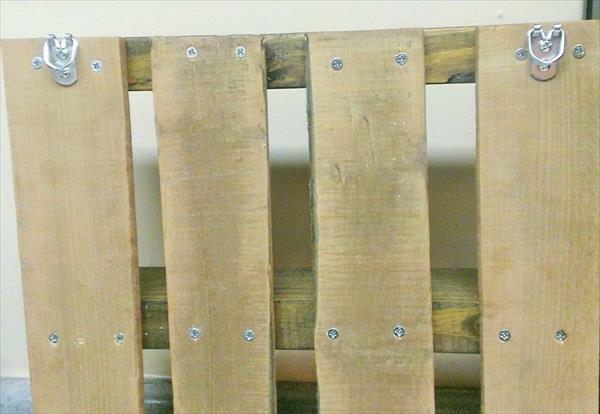 There lies a big list of DIY pallet ideas that give the perfect ways to improve each segment and portion of your home on a budget. 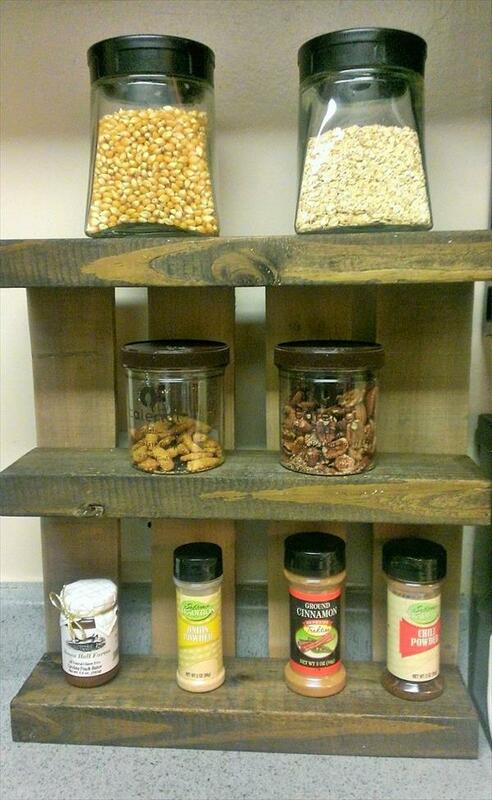 This DIY pallet kitchen rack has been handcrafted using pallet skids and can do a great job in your kitchen. You can store you spices jars and other material of the kitchen over the shelves which can be increase and decrease to any number you desire. Rustic touch will compliment the entire ambiance of the kitchen and will give a perfect traditional look to the surrounded items. You can put it vertical against wall or make it mounted with hardware hangers attaching them on backside of it. 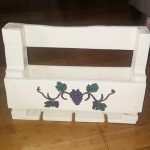 There are also some great designs of DIY pallet kitchen cabinets, pallet kitchen utensil rack and kitchen shelves to make you get with your favorite one for you unique kitchen.